The advent of Mainland chains and discount stores is not going to go away, as there continues be an assortment of developers prospecting to build major shopping complexes and mixed-use communities. 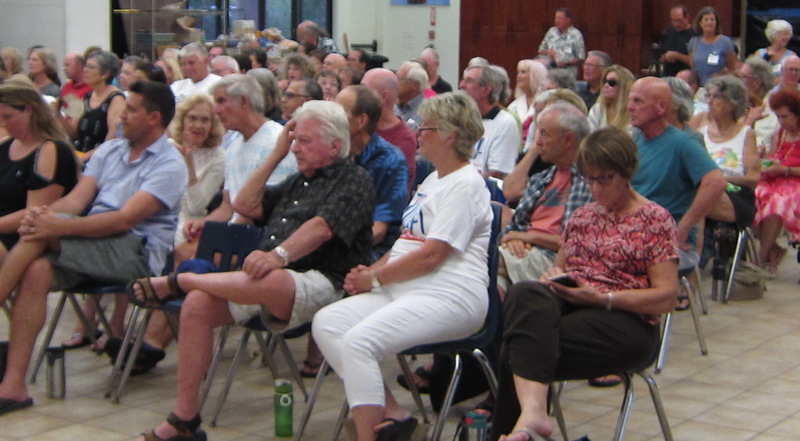 During the Jan. 18 meeting, residents revealed frustrations with the ongoing hurl of projects proposed for Kihei while copious numbers of residential units and retail spaces remain vacant and continue to increase. “How many of these projects are set in stone and how can the community give input?” a resident asked the new planning director. “It’s sad… there’s amazing sprawling happening here, ranch lands disappearing… Will, help!” she pleaded. 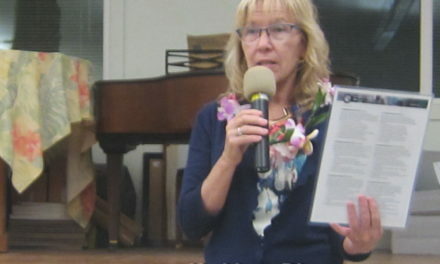 KCA President Jon Miller shared his aggravation regarding rumored plans for large department stores proposed for new retail developments on lands that lie adjacent to the planned Kihei High School site. 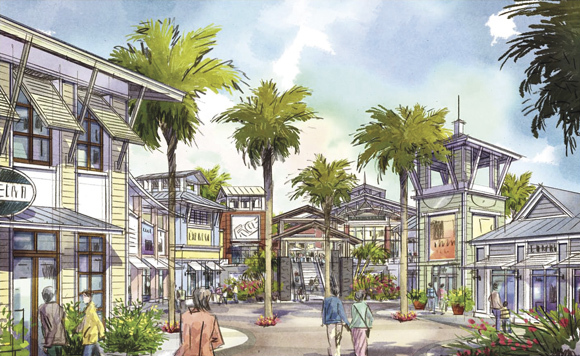 Two proposed projects that include a retail center and outlet mall could indeed be coming to Kihei sooner than later. They are estimated to include over 703,000 square feet of retail space and restaurant spaces, and over 3,700 parking stalls. The separate projects will be built on each side of the future Kaonoulu Street extension—which, when completed, will serve as an alternate roadway to Upcountry—and are headed by Eclipse Development Group, a California-based company with projects that are “anchored by national brand name tenants” including Target, Wal-Mart, Home Depot, Kroger and Best Buy. A representative from Target Corporation confirmed that corporate representatives have shown interest in the property, but that there was no record of a store on Maui confirmed for opening, and no other information available to the public at this time. Eclipse CEO/President Douglas Gray confirmed his company purchased 75 acres of land zoned light industrial in a deal that was finalized just a few months ago, and said the company is now “fully entitled” to develop the area, which will be “driven a destination point.” He said for nearly three years, Eclipse did their “homework,” and came in on the “one-yard line” to score the site from another Mainland group that owned it for over seven years. “It’s an exciting opportunity—I couldn’t pass it up,” said Gray. 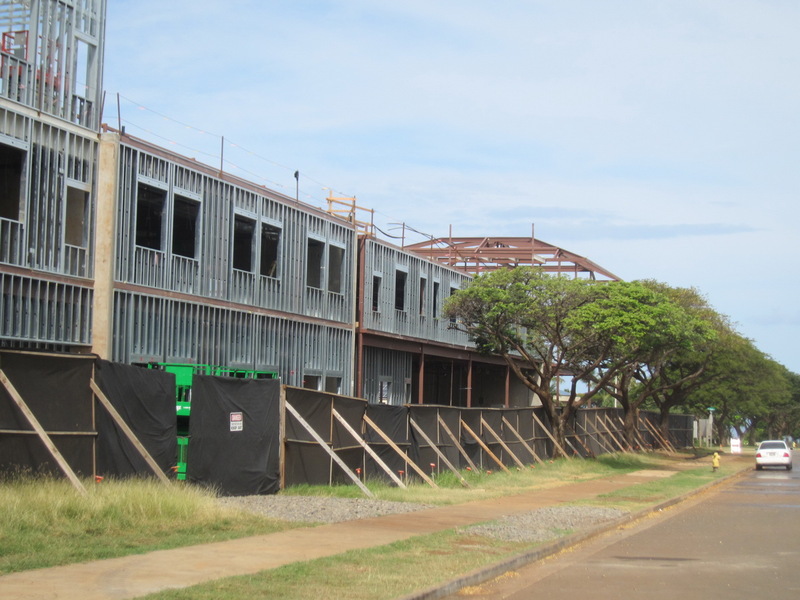 On the company’s Website (eclipsedevelopmentgroup.com), “Pi‘ilani Promenade” is “truly irreplaceable” property currently in the pre-development phase, pre-leasing spaces from 1,000 to 160,000 square feet. A Grand Opening is estimated for early 2014. 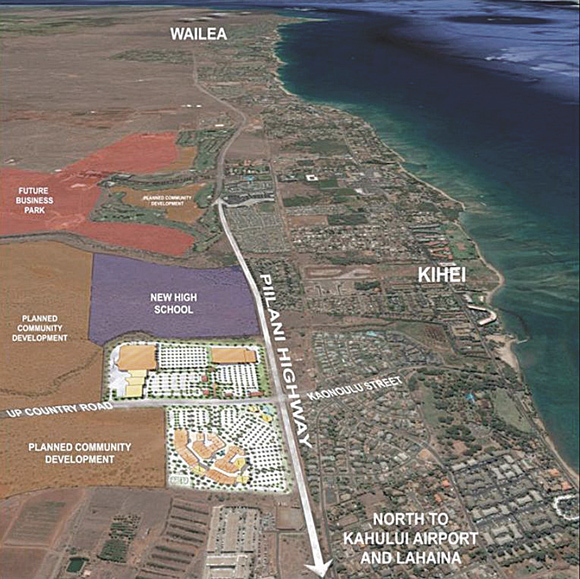 Currently, “Maui Outlets” is proposed to sit on 30 acres north of the future Kaonoulu Street extension, east of the Pi‘ilani Highway, and the remaining acres across the street—south of future roadway—will potentially be developed into a large retail center with a mixture of stores on lands adjacent to the planned Kihei High School. 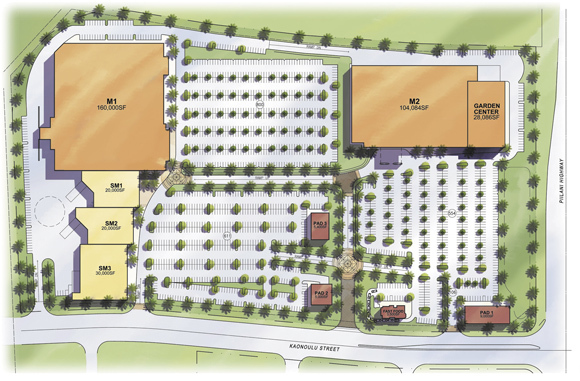 “Our intent is that both sides will be developed retail spaces… ” said Gray. Gray said his company is covering the costs to build the increment of new roadway that bisects the site, as well as the water tank and utilities off-site, working with Goodfellow Brothers on Maui. 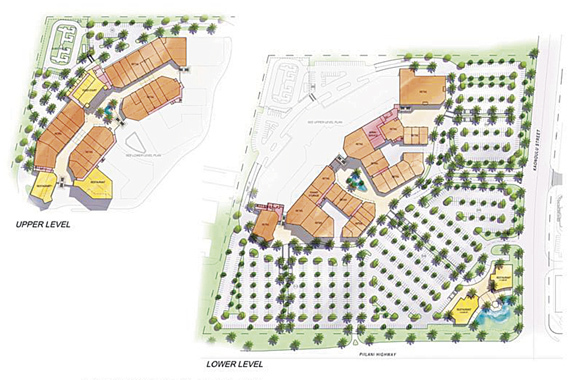 Nearly six to seven acres will be dedicated to the state of Hawai‘i and Maui County. The public can view prospective site plans for Eclipse’s parcels off Pi‘ilani Highway in detail at www.fforealty.com/coming-soon-maui-outlet-center and eclipsedevelopmentgroup.com/CS_maui.htm. Project binders have been available at www.gokihei.org since December. Read next week’s Maui Weekly for more on the formation of these projects, including the land parcels’ history, zoning, infrastructure and off-site improvements required for construction, as well as reasons why these retail developments will most likely be completed before the Kihei High School. PreviousTHE GREAT KALAMA PARK CLEAN-UP 1/11. They are planning WHAT for South Maui?? ?